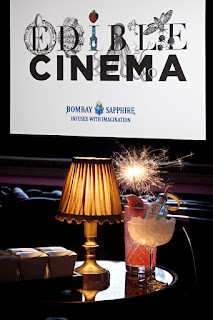 "Edible Cinema, a unique food and drink cinematic experience, is a collaboration between Soho House Group, renowned experience organiser Polly Betton, Jake Rigby Wilson in conjunction with experimental food designers Blanch and Shock and Bombay Sapphire mixologist Sam Carter. Edible Cinema will be screening the beautiful disorientating Eternal Sunshine of the Spotless Mind. 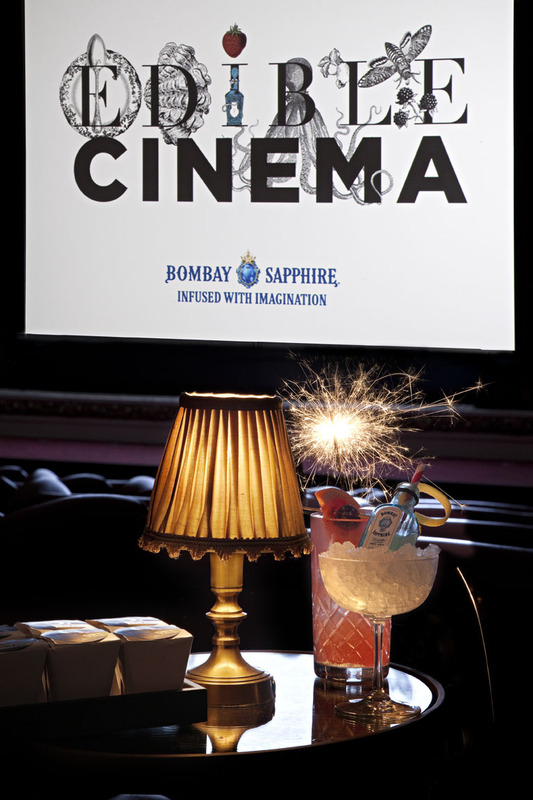 On arrival, cinema goers will be served a Bombay Sapphire 'Clementine G&Tea, a vibrant combination of Clementine and Earl Tea Tea sorbet and Bombay Sapphire, topped with Fever-Tree Sicilian Lemon Tonic Water (the signature cocktail for the evening) and given a series of numbered packages contains food and Bombay Sapphire specially created tasters to eat during specific points during the film when prompted to heighten the experience when watching the film. Further Edible Cinema events are scheduled for later in the year"